Whitey was originally commissioned by a scuba-diving club to transport their wet wetsuits - nothing like a subtle change of use I guess! Whitey is employed to house our main generator, a Honda EX5500. This particular model of generator is well known for having superb voltage regulation and being built like the proverbial tank. 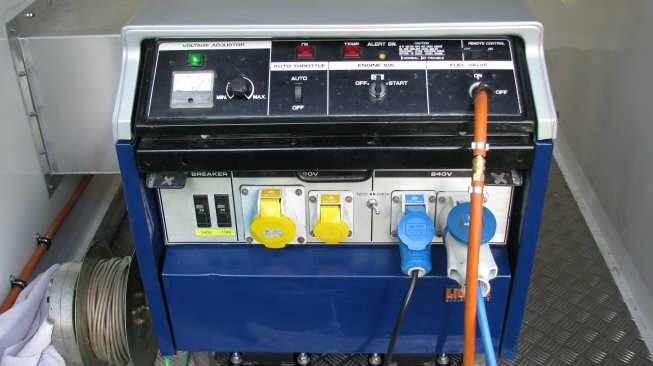 The generator has been converted to run on LPG by Peter Noble at Offmains who is the leading UK expert on the EX5500. 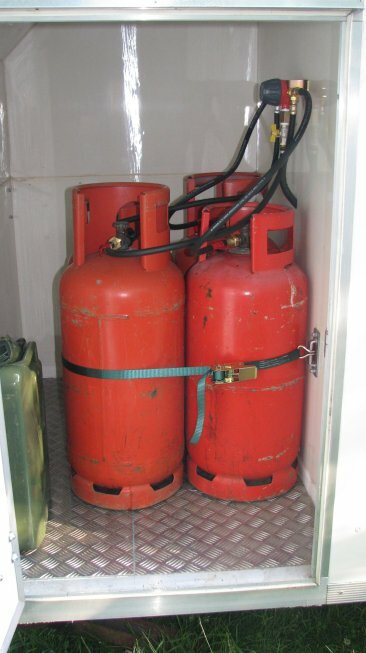 Although we have a bank of four 19KG gas bottles connected to an automatic changeover valve, in practice the generator will run for approximately 30 hours on just one pair, so we have plenty in reserve. 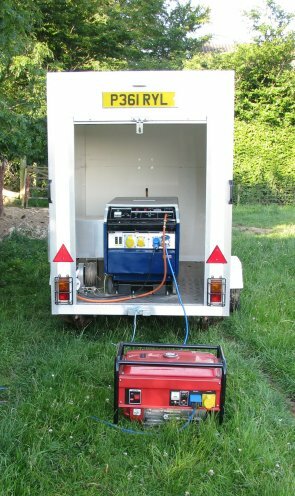 Whitey is also used to transport our portable back-up generator, Genny, who has been with us since we restarted contesting in 2005. Note the big air intake on the left-hand side! The front compartment holds the LPG bottles and changeover system. We use little "Genny" during set-up of the station to save powering the EX5500 until we need it. 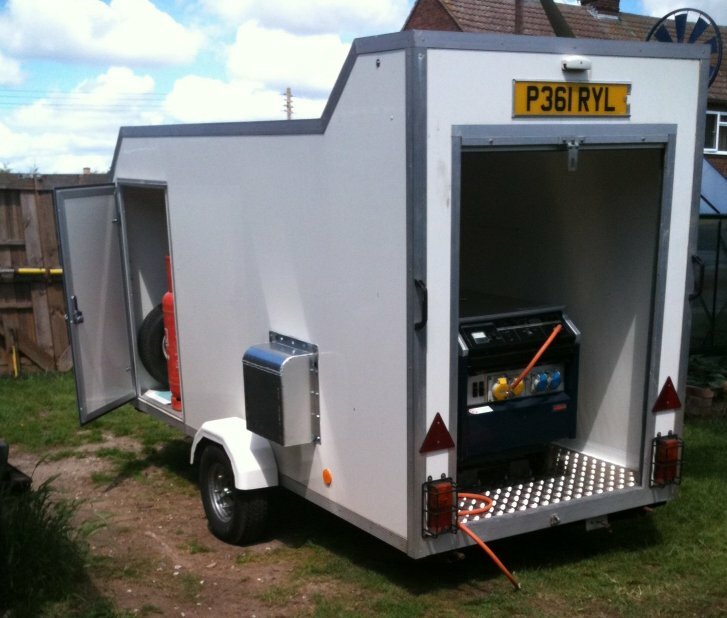 The Rolls Royce of generators - we can go from zero load to 5KVA without even coughing or dropping a Hz! !